Prime Minister Narendra Modi will lay the foundation stone for the upcoming All Indian Institute of Medical Science (AIIMS) at Bilaspur on 3rd October. 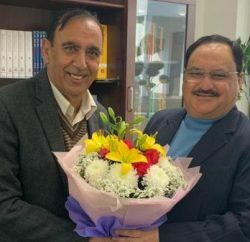 Union Minister of Health & Family Welfare, JP Nadda expressed deep gratitude of Prime Minister Narendra Modi for sanctioning AIIMS Bilaspur in Himachal Pradesh. 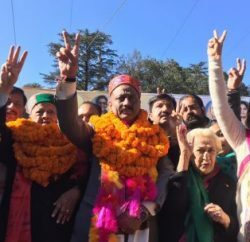 He stated that AIIMS Bilaspur will provide the much needed tertiary medical services to a vast population of not only Himachal Pradesh but the other northern states too. 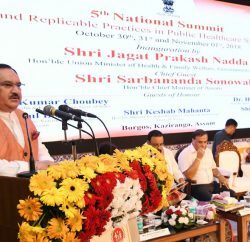 AIIMS Bilaspur, with its multiple disciplines, will herald the hilly state towards comprehensive development and growth, Nadda further added. The Himachal Pradesh Cabinet had approved to set up AIIMS in Bilaspur. However, the work of premier institute got delayed and now as the state is poised to go into poll in few weeks, and sudden announcement of its inauguration seems nothing but to grab electorates’ attention.